When the Children of Israel stood at Mount Sinai they all heard God speak the Ten Commandments to them. When God began to repeat them one by one, they cried out to Moses that he should go and listen instead of them. Moses went up for 40 days and 40 nights, then returned with the two tablets. Unfortunately they miscalculated by one day and made a golden calf. Even now we have to overcome the sins that happened in the Wilderness. Nevertheless somewhere around 3 million people heard God speak to them. The Children of Israel experienced many miracles, however none of them were like this. Of course many of the Noachide Laws are found contained in these Ten. HaShem gives us the choice between good and evil, and we choose the blessings or the curses. It’s as simple as that. We must help ourselves and each other to continue to receive the blessings, and not the alternative. We will have World Peace, and with these and the other mitzvahs we can hurry along the process. I am HaShem, your God, Who delivered you from the land of Egypt, from the house of slavery. You shall not recognize the gods of others before my presence. You shall not make for yourself a carved image nor any likeness of that which is in the heavens above, or of that which is on the earth below, or of that which is in the water beneath the earth. 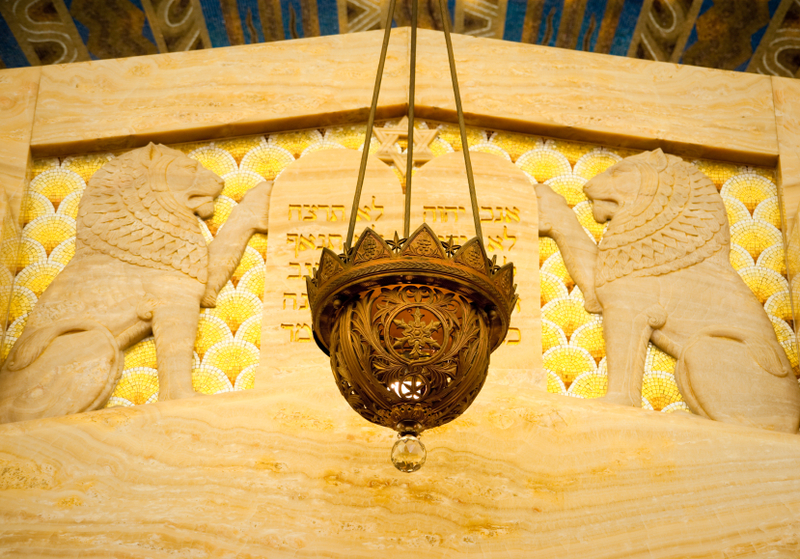 You shall not prostrate yourself to them nor shall you worship them; for I am HaShem, your God – a jealous God, remembering the sins of fathers upon children, to the third and fourth generations of my enemies, but showing kindness for thousands of generations to those who love Me and who keep my mitzvahs. You shall not take the Name of HaShem, your God, in a vain oath; for HaShem will not absolve anyone who takes His Name in a vain oath. Remember the Sabbath day to sanctify it. Six days you are to work and accomplish all your tasks. But the seventh day is Sabbath to HaShem, your God; you may not do any work – you, your son, your daughter, your manservant, your maidservant, your animal, and the convert within your gates – for in six days HaShem made the heavens, the earth, the sea and all that is in them, and He rested on the seventh day. Therefore, HaShem blessed the Sabbath day and sanctified it. Honor your father and mother so that your days may be lengthened upon the land which HaShem, your God, gives you. You shall not covet your neighbor’s house. You shall not covet your neighbor’s wife, nor his manservant, nor his maidservant, nor his bull, nor his donkey, nor anything that is your neighbor’s. The Ten Commandments were also given with a few small changes to the Children of Israel about 38 years later. This is recorded in the book of Deuteronomy in Chapter 5. All of The 613 Mitzvot are actually contained within these Ten Mitzvot. This does not mean that the 613 Mitzvot are easy to find there, or that they are performed just by observing these Ten. This is meant mostly in a spiritual sense, and because 5 of them have to do with our relationship with God, and 5 of them have to do with our relationships with each other. These Ten Commandments and The Seven Noachide Laws surely need to be taught and observed. This is a major goal of The Mitzvah Project and we need your help! Please learn these laws and follow them. Please remember that the laws of the Sabbath Day are not binding on everyone, however they are binding on Jewish people. If you are Jewish we ask that you learn more about Shabbas, and we want you to enjoy celebrating this weekly holiday. If you are not a member of a synagogue we encourage you to call some of the ones in your area. Talk to the Rabbi’s or Spiritual Leaders and to some of the members. Visit the ones you think you will feel comfortable at, and by all means join one and pitch in. Some people are members of more than one synagogue. Do not feel that you can not afford to go. If a place of worship is not willing to work out a suitable financial arrangement for you and your family, you probably don’t want to go to services there. We have to continue to be kind and caring to our fellow man and woman. It is a big mitzvah to show hospitality to strangers and guests, especially when they come to pray to God. Please show warmth and love to new members and visitors. We need your support! Please share The Mitzvah Project with others, and remember that together we can and will bring World Peace. We thank you in advance, and may God bless you and your family now and forever with all the blessings in the Universe. Amen, Shalom, and Baruch HaShem.